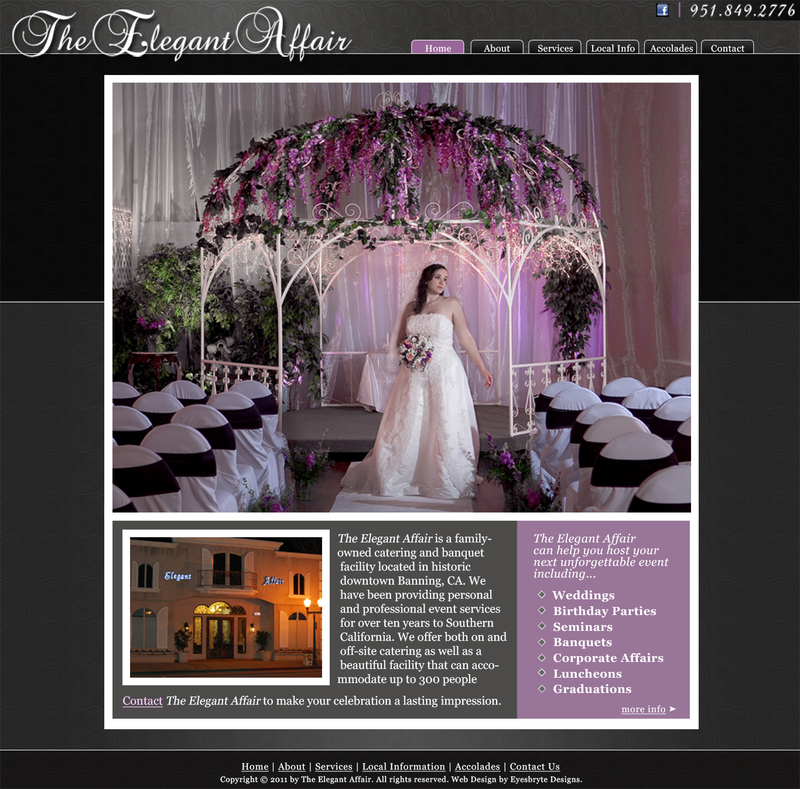 The Elegant Affair is a family-owned catering and banquet facility located in historic downtown Banning, CA. They have been providing personal and professional event services for over ten years to Southern California. They offer both on and off-site catering as well as a beautiful facility that can accommodate up to 300 people.